When asked the question, “what qualities are most important in your decision for choosing a replacement window,” the top answer given is energy efficiency. The question then becomes, where do I find reliable information with which to compare. With over 250 manufacturers many of which allow contractors to private label their product and imply they are the manufacturer, your choices can be overwhelming. Here are facts gathered over 15 years of objective research and comparison (and still searching). The window’s glass package and frame are the two most important factors when it comes to energy efficiency. Because glass represents the majority of the surface area, the insulated glass unit (IG) has the greatest effect. 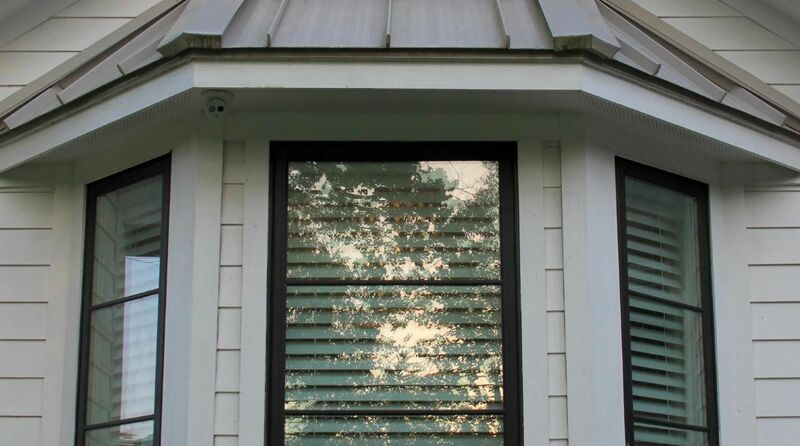 Approximately 85% of window glass is provided by Cardinal Glass Industries. Please, take time to visit https://www.cardinalcorp.com/. Premium windows use Cardinal’s pre-sealed IGs with their commercial grade double seal process and much higher fill rate. Whereas, most cheaper/ entry level manufacturers buy Cardinal’s LoE 366 glass then fill and seal using their less expensive processes and machinery. The difference is a 98% fill with perhaps 4% leakage over 10 years compared to approximately 60-70% fill with around 10% leakage over the same period. Manufacturers who fill and seal their own typically use the push-pull method whereby two needles, like those that blow up sports balls, are inserted through the sealant with air being sucked out and argon or krypton pumped in. Then, the needles are removed, and a dab of butyl applied to reseal the holes. Cardinal IGs are sealed to a heat tempered stainless steel spacer. The stainless spacer, tempered 5Xs like a surgeon’s tools, does a better job of staying in place and conducting very little energy. The double sealant is a lighter gray outer layer of silicone to prevent moisture infiltration with a darker gray inner layer of polyisobutylene that is more impervious than cheaper butyl. One side of the glass is entirely sealed to the spacer before entering the argon (or krypton) chamber. The second piece of glass is sealed to the spacer at the bottom and positioned at an angle as it is conveyed into the chamber. Once the glass unit is inside, all air is pumped out while argon or krypton is pumped in, completely filling the space. Next, the angled glass is pushed against the double sealant on the spacer trapping 98% gas inside creating a commercial grade insulated glass unit. Unless you want only the highest energy efficient windows(and are willing to pay the difference), I do not necessarily recommend triple pane and/or krypton. This is primarily due to the law of diminishing returns. After all, the R-Value of your single pane aluminum window is R-.9 and a premium double pane window will increase it 4Xs to an R-3.57. Triple pane glass and/or krypton raise the price well over $100 per window increasing efficiency to between R-4 and R-5 depending on window size and specification. Many bloggers and sales folks will try to convince you that the gas fill is not important here in our southern climate. However, argon (or krypton) is the key ingredient to slowing down conduction. Conduction represents over 50% of energy loss through the glass. Many times denser than air, the gas greatly slows conduction be it heat, cold or sound. Though we don’t see the effects of weather through our windows as is evident in winter up north, our 9 months of heat greatly affects the comfort of our rooms and the amount of energy our HVAC system spends cooling our homes. Our room’s comfort level; and therefore, our quality of life and pocketbook are affected by how well our windows prevent conduction of heat, cold and sound. All three of these energy types are reduced more so by the gas fill in new double pane windows than by the other two factors – LowE and air infiltration. A better window will provide a living space noticeably cooler in the summer, warmer in the winter and quieter all year around. Foam filled frames are a factor that increases the overall conductive energy efficiency of the window. Generally, injection foam fill will double the R-Value of a vinyl window frame increasing it from approx. 3.57 to 7.14. Foam inserts are not as effective as injection mold foam which completely fills the hollow cavities and has the added benefit of helping the cavities maintain their shape. Part of the reason the numbers on the NFRC sticker do not fairly represent the overall efficiency is that they do not take the increased R-Value of foam filled frames into account in the U-Value calculation. Other factors in efficiency are air infiltration and radiant energy. Air infiltration on most products is handled by mylar fin weather-stripping. Most windows include double weather-stripping whereas a premium product will have a triple layer. Three layers greatly reduce the amount of air and dust infiltration. People who suffer from allergies will benefit from new windows with a better seal. Basically, radiant energy is reflected by a LowE coating required by code consisting of 2 or more layers of silver dioxide sputter-coated on one or more of the interior glass surfaces. By the way, LowE is a conductor. By far, the most common is Cardinal’s LowE 366. LowE does an excellent job of reflecting not only radiant energy but 99.5% of UV light. Blocking UV will help prevent fading of carpets, wood, fabrics, and upholstery. Plastics in mini blinds and other window treatments will also fare much better because they do not become brittle and break as easily as when UV was streaming through the glass. Because the majority of the industry uses the same LowE, the heat lamp demonstration most sales professionals employ always has the same result regardless of the quality of the window (not a good indicator of energy efficiency). For the same reason, the National Fenestration Rating Counsel (NFRC) sticker required on every window is not a good indicator of comparative efficiency. This is because the NFRC rates the U-Factor and Solar Heat Gain Coefficient (SHGC) of all windows equally at the center of glass primarily relying on the measurement of radiant energy rather than using an overall rating with the frame and fill rates factored in to include a conductive energy component. For years, the NFRC has known and has talked about developing a more helpful overall energy efficiency rating but has not done so yet. As with most consumer goods, you usually get what you pay for. However, there are overpriced windows on the market as well. Overpriced windows are the result when a contractor spends hundreds of thousands or even millions in marketing dollars and/or feel their branding alone will win your trust. These costs must be overcome before a profit is realized. The following average pricing table includes installation, tax and haul off debris. Homes with more circle or arch top windows or an unusual number of 7 and/or 8-foot-tall windows will have higher prices. Frame color, grids, and glass upgrades are factors that push the pricing to the upper end of the range. While much information is available to the consumer, homeowners usually require an educational approach from a professional they can trust to decipher which information is marketing and which is important in finding the window and installation that best suits their needs. An objective expert should be willing to point you in the right direction even if the product they offer is not the right fit for you and your home. Our choice of manufacturing partners may not fit every situation, but if you plan to stay in your home or to leave behind a saleable asset for your children, we offer professional grade products and installation with the most comprehensive warranties at aggressively competitive prices. At Truwin, we believe it is our duty to go above and beyond sales to assist our homeowners with their choice. We seek to build partnerships with homeowners for all their remodeling needs. Stay connected and be among the first to learn about the latest promotions, new products, and additional resources that can better inform your purchase. You have successfully signed up to receive future email updates.